Why does the National Forum for Public Engagement with STEM exist and who is involved? 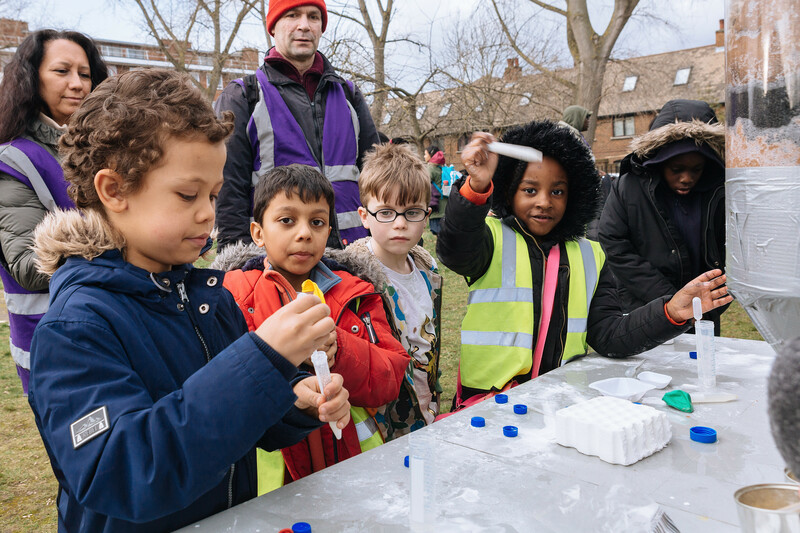 We believe that engaging the public with Science, Technology, Engineering and Maths (STEM) is vital to a thriving science system: for scientific literacy, developing future scientists and engineers, and for improving social justice and social inclusion. Without actively involving and engaging with the public, STEM risks falling out of step with society. The National Forum is a collective of key funders and organisations involved in setting the national agenda for public engagement in STEM. Established in 2014, our goal is to improve collaboration, co-operation and learning across the sector. We want to make better collective decisions and accelerate improvements across the science engagement ‘system’. By challenging ourselves to improve our work, using evidence, expert input and intelligence gathering to stimulate innovation and set strategic direction. Working with the wider STEM Engagement community to identify areas where we can affect system-wide change through collective action. This is driven largely through our working groups and events. Developing tools, resources and initiatives which support change. We want to tackle ‘sticky problems’: known sector-wide issues that can’t be solved by people working in isolation, and that require concerted and collaborative effort over the long term. For instance, how to address the balance of our funding across different purposes and audiences for engagement; identifying priority areas for sustained public engagement; exploring how we can gather more useful intelligence on the long term impact of our work; and better supporting professional development and recognition. Ongoing engagement with the wider sector remains an important element of how the Forum works. This is largely done through members’ sharing the work of the Forum (i.e. at conferences, meetings) working groups, networking events and online media. Each Forum member has its own objectives for involvement in public engagement in STEM, yet all coalesce around the broad ambition of creating a positive and supportive environment in which STEM can flourish and benefit society. The focus of the Forum will evolve over time, allowing the group to adapt to changes in the public engagement landscape and to react to public interests and attitudes. The National Co-ordinating Centre for Public Engagement (NCCPE) provide the secretariat function to the Forum. If you would like to get in touch with us, please contact Lisa.Adlington@uwe.ac.uk.